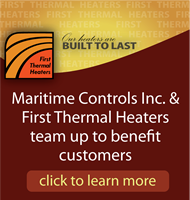 For more than 75 years at First Thermal Heaters our mission has been to provide you with the measurable value-added solutions to all your heating needs, all with a personal touch. This commitment can be seen in all of our actions, begining with the simple task of having an actual person answer the phone when you call. Our team is trained to walk with you through the process, from gathering information to determining the root-cause of the issue and recommending solutions to get your equipment and production to optimized performance!